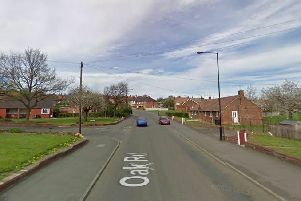 Two people have been arrested in connection to the death of a Doncaster woman following a ‘hit-and-run’. Both police and the ambulance service were called to Whitegates Caravan Park on Station Road, Dunscroft at around 1.50pm on Friday. A 52-year-old woman was pronounced dead at the scene. In a statement South Yorkshire Police said: “Following the collision, the vehicle left the area. Two men, aged 19 and 17, have been arrested on suspicion of murder in connection to the woman’s death and currently remain in police custody. Officers will remain in the area carrying out enquiries today and are keen to hear from anyone who saw what happened, or who has any information about the vehicle involved. If you have any information that may help police, call 101 or Crimestoppers anonymously on 0800 555111 quoting incident number 500 of 22 March 2019.